Give yourself and your hair a blissful break with St.Botanica Moroccan Argan oil Hair Shampoo. This deeply hydrating product is rich in vitamin E and key fatty acids, which helps to restore and strengthen weak, damaged, and brittle hair. Powerful blend of Jojoba Oil, Rosemary Oil, Almond Oil, Jasmine Oil and other natural ingredients make it the perfect choice for both men and women. Restore healthy shine, softness, and luster with MOROCCAN Argan Oil and Slik Protein complex formula. Deeply conditions and hydrates your hair. Explore the entire range of Shampoo available on Nykaa. 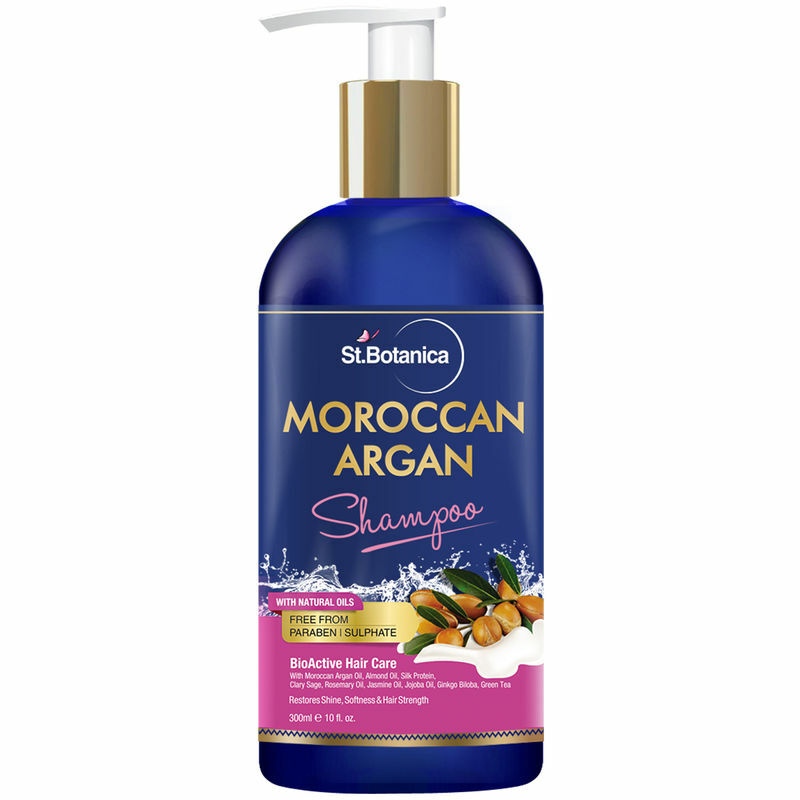 Shop more St.Botanica products here.You can browse through the complete world of St.Botanica Shampoo .